In the good old days of the 50s, 60s I remember watching such baseball managers as Casey Stengel, Leo Durocher and Billy Martin. In those days the manager ruled his team as a dictator with absolute power. Even a super star like Mickey Mantle feared Casey Stengel. When Mickey stayed out all night before a day game and arrived at the game drunk, he knew he good not perform. He was afraid to face Casey and say he could not play in the game. Like a child who misbehaved, Mickey chose to cover up his misdeed by getting himself thrown out of the game by arguing with the home umpire about a called strike. Another story that comes to mind is when Billy Martin yanked Reggie Jackson out of the outfield in the middle of an inning because Reggie did not hustle after a ball. In the dugout the 2 exchanged blows. In the old days the manager was the CEO of his team. He had complete control of his players He was solely responsible for all the in-game strategic decisions including when to bunt, when to hit-and-run, when to remove a starting pitcher, who to play, and many others. He also had a very strong input on which players to hire and which player to get rid of. Today’s baseball manager is really a middle manager. He surrounds himself with a bench coach, pitching coach, bullpen coach, hitting coach, and base-running and fielding coach. In the background he has an analytic department to decide on positioning the fielders, which batter to use against a pitcher, how many innings to use a starting pitcher, and so on. The front office people control the hiring and releasing of players. What brought about the changing role of today’s baseball manager? The book Moneyball featuring Billy Beane, the GM of the Oakland As, was a major contributing factor in changing the role of the manager. Beane was responsible for leading his Oakland As to successful seasons in the early 2000s in spite of having one of the lowest payrolls in baseball. Beane with the help of his assistant Paul Depodesta used baseball statistics to discover and sign underappreciated players. Beane also used statistics to show that the old gold standard of measuring a player’s value by his batting average was wrong. Instead, Beane showed that a player’s on-base percentage led to more runs than a player’s batting average. Finding damaged players with good OBPs enabled Beane to get these players on the cheap. One of his tenets was don’t give up outs. This led to Oakland not bunting or stealing bases. His manager Art Howe was ordered to follow Beane’s mandates. Beane’s formula for success has been copied by many other low budget teams. Today, almost all the ML teams have sports analytic departments. 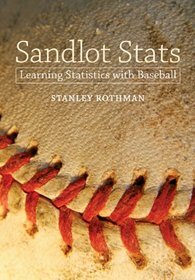 Teams are bunting at their lowest rate since 1920; teams are attempting to steal bases less frequently than they have in the last 45 years. Pitching has also adopted the 100-pitch rule for the removal of a starting pitcher. Also, teams now have designated 8th and 9th inning pitchers. Again, these decisions no longer belonged to the manager. Defensive shifts are determined by the analytic people and not the manager. Even the new technology of instant replay is mainly determined not by the manager but by the umpire crew chief. The manager is allowed just 2 reviews. So what is today’s baseball manager’s job description? Today’s manager must have good people skills. He is responsible for keeping a good atmosphere in the clubhouse and at the hotels. He also acts as a psychologist, talking to his players to keep them focused on the upcoming games. His most important task is to keep his players on the field and off the DL. The term used for today’s manager is he is a ‘players’ manager. This accounts for the fact that so many of the recent hired managers were ex-players. This list includes Brad Ausmus, Craig Counsell, Walt Weiss, Robin Ventura, and Don Mattingly.